If you have a WordPress website and/or blog, then you join about 75 million others who also have one. In fact, about 50,000 new WordPress websites are added every day. But just setting up your site or blog is not enough. There are some amazing plugins that will make your site functional, engaging, and just much easier to manage. Here are seven plugins that will make your life in WordPress easier. So, here you have a pretty comprehensive tool for any e-commerce business or even bloggers who are looking to increase their following. 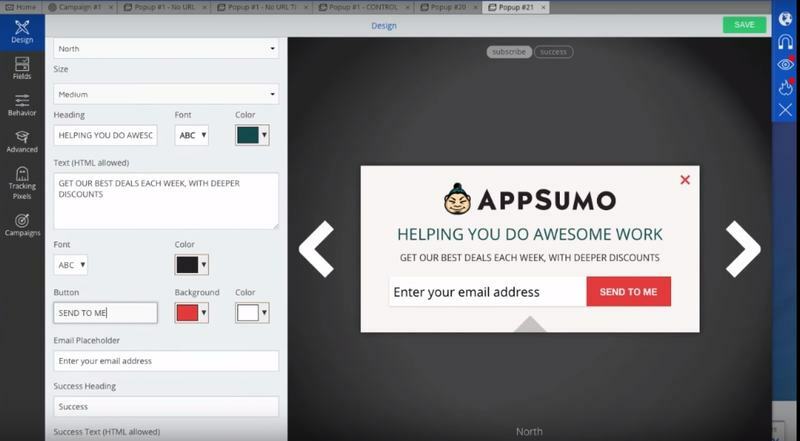 While it is most used as a conversion optimization tool, it has a host of other features that you will want to check out – opt-in forms, geolocation and message targeting; targeted messages to visitors as they are exiting, thank-you messages, and more than 26 animation and sound effect features. Pricing is based upon four plans. Beginner will probably want to use the basic plan at $9 a month, and as your readership or subscriber/customer list grow, graduate up to the pricier plans. Large enterprises will want the premium plan at $169/month. All plans come with a 7-day risk free trial, so you really have nothing to lose. All the more that we have a discount code specially for our dear reader: VIP20OFF! Try it out – you’re going to love the versatility. A “welcome mat” feature that displays a full screen as soon as visitors land on any page – there can be CTA’s to visit a popular blog post, to join an email list, to take advantage of an offer or discount, etc. A smart bar that stay on top of each page, to remind visitors of something – a discount or offer, an opt-in, etc. In terms of pricing, there is a basic plan for free. It does offer a great deal but is good for a new startup. Plans then graduate in price as more features are added. Type enjoysummer in the discount code field. You want visitors and customers to share your stuff. So, you add social sharing buttons to your content. The problem is, these often slow down your site and sometimes don’t work exactly as you had planned. With WordPress sharing plugin, these are worries of the past. Now you can have fast and attractive plugins anywhere on your site or blog – no matter what device a user has. You choose the social media platforms for buttons; you choose where those buttons are placed; you can even select floating buttons, so that readers will not forget to share your content as they are reading/viewing. And you can add a “tweet this” option within your content. You will also receive counts of how often your content has been shared and to which platforms. The basic plan is free, with fee-based options for pro licenses that will provide sharing to many additional social media sites. And of course the sweet price cut is TAKETWENTY. This tool will allow you to “test” a variety of titles that you may be using for your content/posts. It’s simple to use and it’s free. With this plugin you can test the readership of the same article, based upon different titles you have chosen to use. Each time an article is viewed, it will be counted. In the end, you will have important information about the types of titles that will engage your audiences and which will not. Pretty good information to have. Landing pages with attractive designs, easy opt-in forms, full customization, and integrations with automated email marketing and CRM systems. Sales pages that will effectively market your products or services. You have a huge variety of templates and elements to sell anything from consume products, to online courses, to events and seminars. Membership portals that will allow you to deliver digital products as well as education and training programs. And you can set up payment via Stripe or PayPal. Blog Themes that are beautiful and compelling and will work to convert subscribers, who can ultimately become customers. This handy little open-source plugin is your single source for calendaring everything related to your blog. 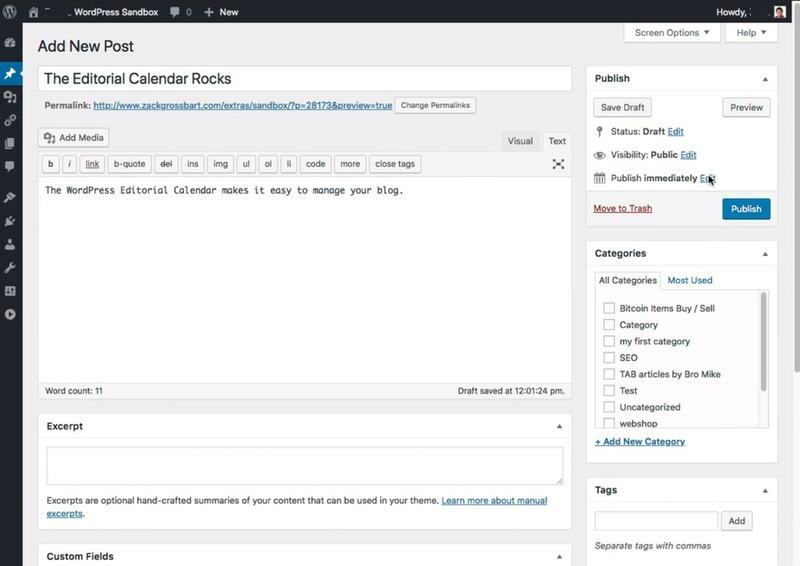 It will provide reminders of your posting schedule, provide an overview of your blog with a listing of when each post was published. See all past posts, as well as those you have written to be published in the future. There is also a method to try out this calendar before actually installing it – pretty cool. If you are like most people, you can be easily distracted in the middle of your writing. This removes focus and adds time to completing a content piece. This plugin will remove distractions and let you just write. But wait. There’s more. You have options to remove or hide the tool bar, lighten or darken portions, add spell check, buttons, and many more elements. This plugin is open source and so is continually adding new and improved features. The install is easy. If you need to focus on just your writing and customize what buttons and tools you need, this plugin is definitely for you. Of course, there are a huge number of plugins based on individual need. But, this set will provide you everything you need, whether you are engaged in blogging, e-commerce, online courses, etc. Try them – you’ll be happy you did.